Sarasota Tree Care Services is the preferred tree service provider for all residential and commercial properties in the Sarasota, FL area. We specialize in tree trimming, removal, fertilization, root management and any other tree care. Our team is passionate about trees, which feeds into every job we manage. Customers know they can rely on our highly qualified crew for fast service, quality care and value for money. Professional tree care is an important part of good property management. 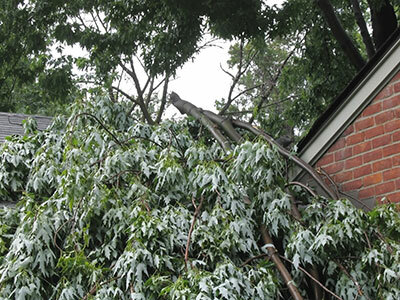 Trees can add or hurt a property’s value depending on their condition. Neglected trees can become dangerous to people and structures. We work with our customers to make sure trees add to curb appeal and live a long healthy and happy life. Whether you need a consultation on placing trees for new construction, or your trees are overgrown and disrupting power lines, we’re here to help. Everyone loves green spaces, but managing trees and shrubbery is critical when it comes to protecting your property. Unmanaged tree roots can break up pavement in driveways and sidewalks. Dead limbs can be a safety threat for pedestrians and cars passing underneath. Trees even fall into buildings and cause significant damage. Having a professional tree service provider partner with you to manage your trees can help make sure the trees only add to a property’s appeal without dealing with any headaches. Many of our customers have even been involved in legal battles with neighbors due to overgrown trees. The regular pruning and trimming of even young trees help ensure they grow in a way that extends their life and avoids potential problems. We always recommend a professional service help with trimming and tree removal. This is especially important when dealing with large trees that have heavy limbs that could really hurt someone. Sarasota Tree Care Services has the equipment and technical expertise to remove trees and heavy limbs safely. We also have the resources to respond to emergencies when trees fall into homes or commercial buildings. Our team is trained to remove trees in a way that minimizes interruptions to home or work life. Of course, the best way to prevent trees from falling is to have them regularly trimmed. This form of preventative maintenance will save you thousands of dollars of damage and possible physical injury in the event of a large tree collapse. 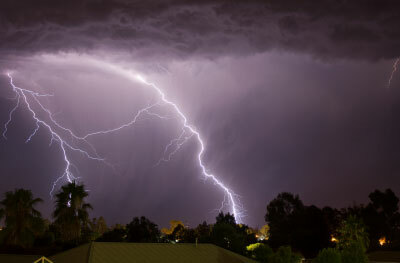 Storms are a regular occurrence in Sarasota, and our team of tree technicians has extensive experience responding to emergencies involving downed trees in a storm. Our customers know they can rely on us to help when any issue arises. We’re always happy to send out technicians to advise property owners on how to best manage their trees before a storm so they can have peace of mind. Don’t wait until trees become an issue. Call the team at Sarasota Tree Care Services to start talking about how we can make sure your trees are an asset to your property instead of a headache—we’re very confident you’ll be glad you did.